Rheinfels Castle is located along the Rhine River in Schlossberg Sankt Goar, Germany. Rheinfels Castle is the largest castle ruin along the Rhine, built originally in 1245. 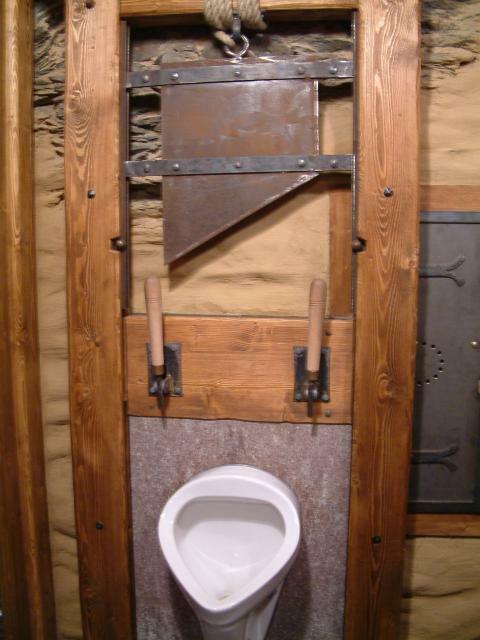 BP submitted this image, from the castle's reception area, with one simple question: "Which handle flushes it?"